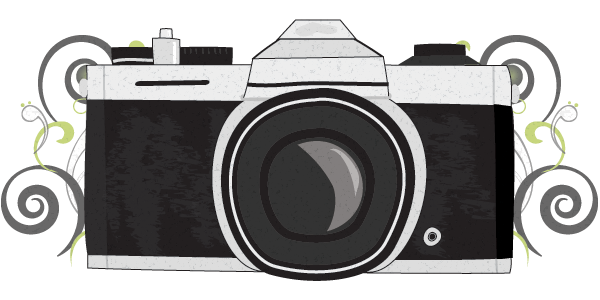 On the 24th of August 2013, we wrote history beginning the first of many DevCongress conferences and events at the DevCongress 2013. 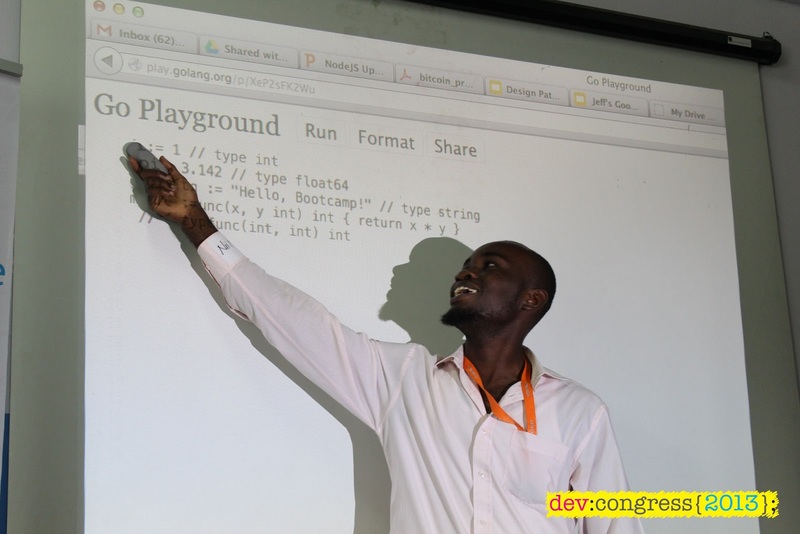 DevCongress is a developer community aimed at training Ghana’s developers through conferences, code camps, hackathons, etc. We believe that if Ghanaian developers are equipped with the necessary resources they will be able to handle any challenge the tech startup scene may encounter. This post recounts what happened on the maiden launch of the tech network that aims to be the most vibrant across Africa. I happened on the 24th of August 2013 at MEST. I was glad to be the MC of the occasion, an honour given me by my teammates, Elorm Adjaho and Yaw Boakye. Elorm opened the event with a warm poetic welcome address. The address touched on the fact that Africa is rising and that Ghanaian developers should rise with the opportunity that comes with Africa’s growth. 1st Tech talk: Davis Abubakr-Sadik delivered the first talk on Go lang. This was an eye-opener to Google’s programming language. And it was revealing as to the volume of products which have been built with Go. It was more revealing to find out that dl.google.com was solidly powered by Go. We also got to know that Esoko also develops some of its products in Go. 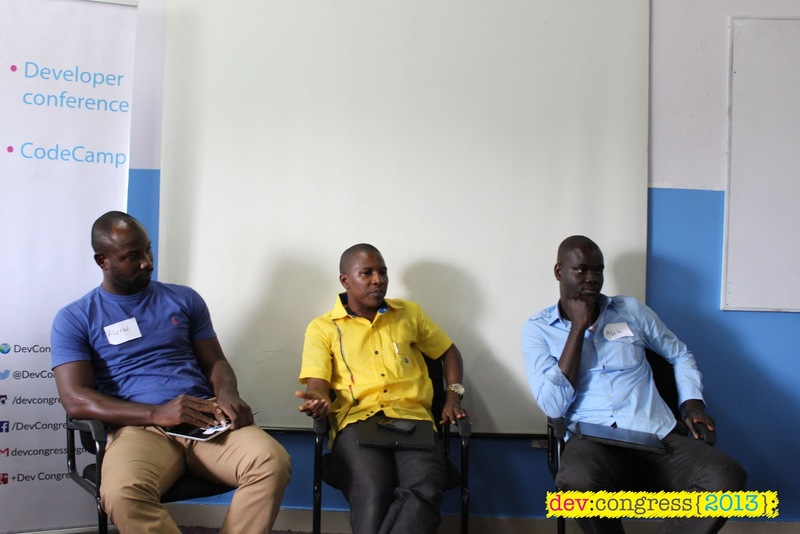 At DevCongress, one of the practices we want to encourage is bringing in experts in a particular industry to talk on opportunities for software developers in that space. For our first conference, we had Mark Davies of Esoko come in to speak to us about which agricultural ideas have been exploited already, and he also pointed out that Esoko had, and was still building extensive data on farmers which developers could take advantage of. Next was what I can call the most revealing topic of the day, Bitcoins. It was well-delivered by Mawuli Adzoe of Saya. Apparently, most developers present were not aware of bitcoins and its increasing popularity. He took time to explain what went into mining, how many bitcoins there could be, and everything else one needed to know. Personally, I was having a good time but there were so many questions and so little time. If you were not present, you missed an opportunity to get few free bitcents to start you up. How exciting is that! Still on the issue of money, we dived into our panel discussion on Electronic and Mobile payments in Ghana. The aim of the discussion was to know the current state of affairs on the side of the providers. On the panel, we had Alfred Rowe of mPower payments, Abdul-Majeed Rufai from MTN Ghana and Alex Adjei Bram of SMSGh. Their conversations were insightful and knowledgeable especially to our course. It was more revealing to find out that SMSGh had initiated a developers’ competition relating to their APIs, and most developers present were not even aware. We also learned, unfortunately, that they outsourced job to developers outside Ghana. This, we hope will change when the DevCongress Jobs Board us up and running. In the end, developers were aware of the need to build on these existing platforms so that electronic payments processing in Ghana will be seamless. This was followed by a long break for lunch and interaction. It was a good time to ask questions and create engaging conversations. In the next post, I will run you through the exciting activities after lunch and the great projects the great minds gathered put together. You will be amazed.